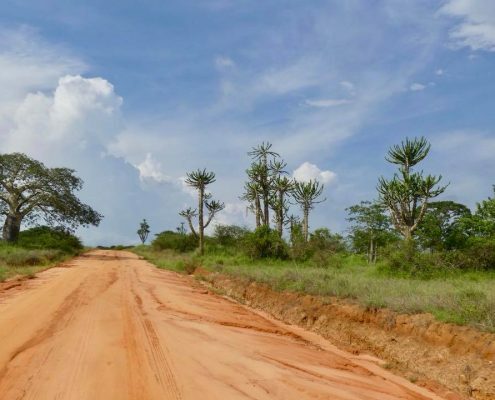 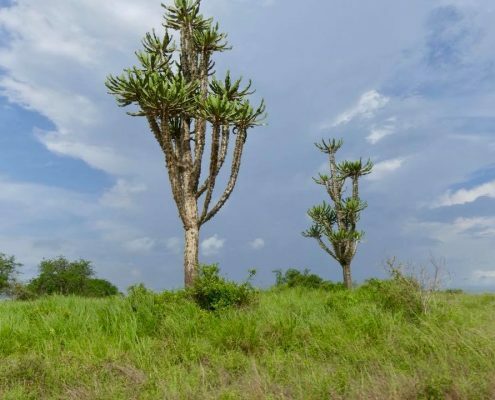 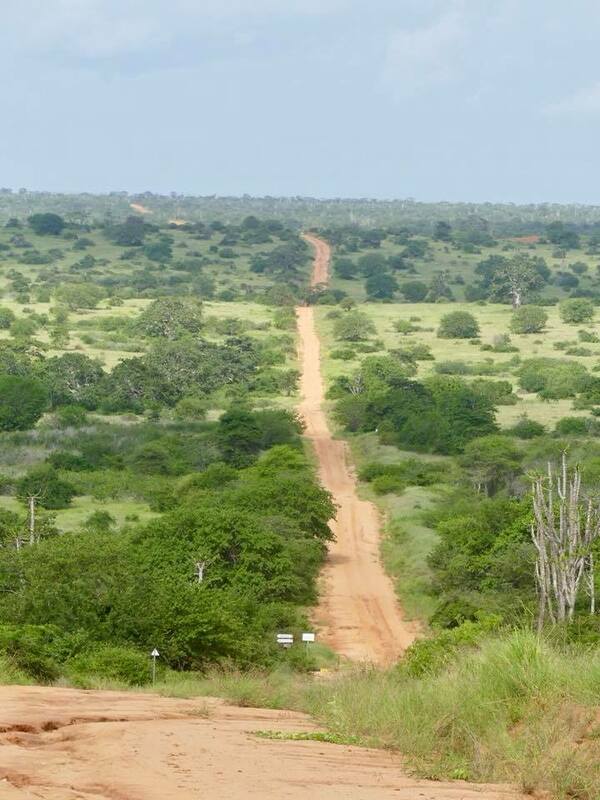 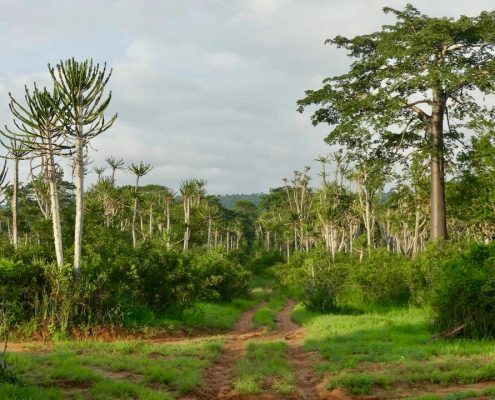 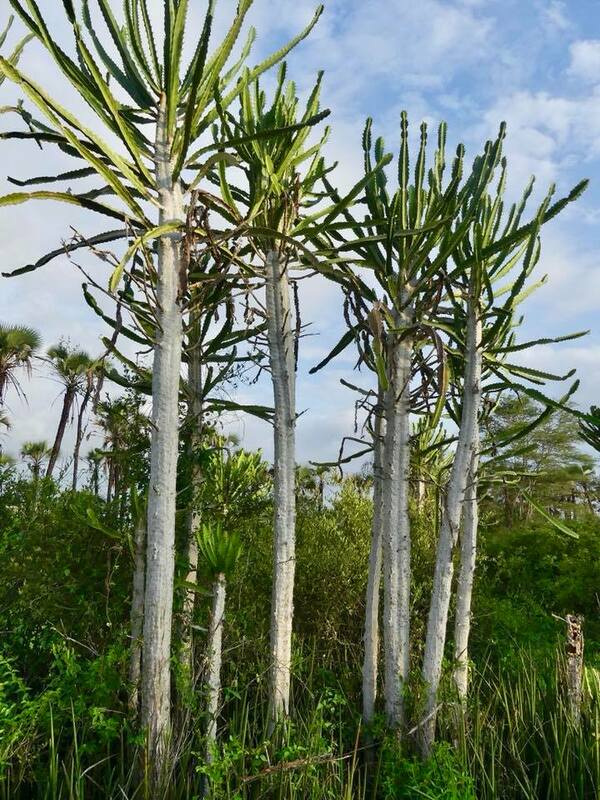 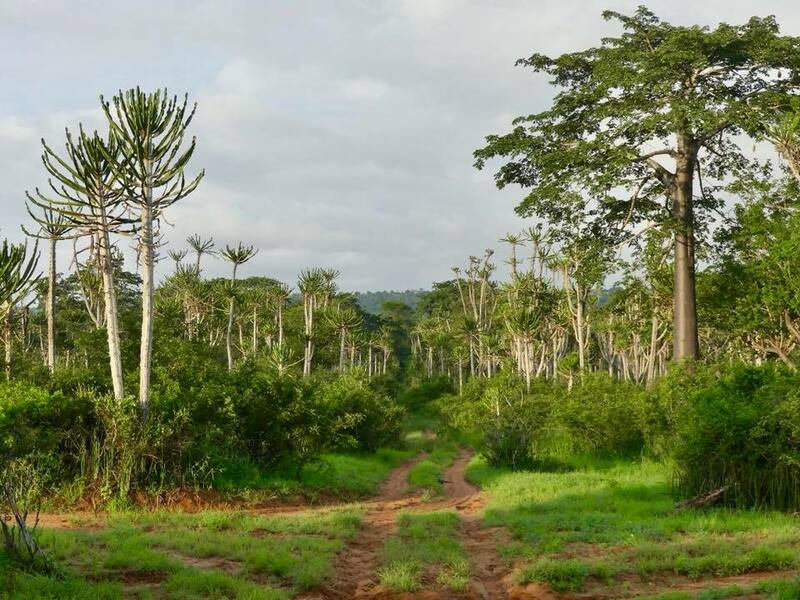 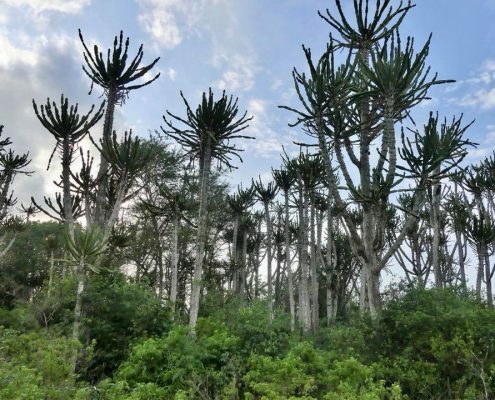 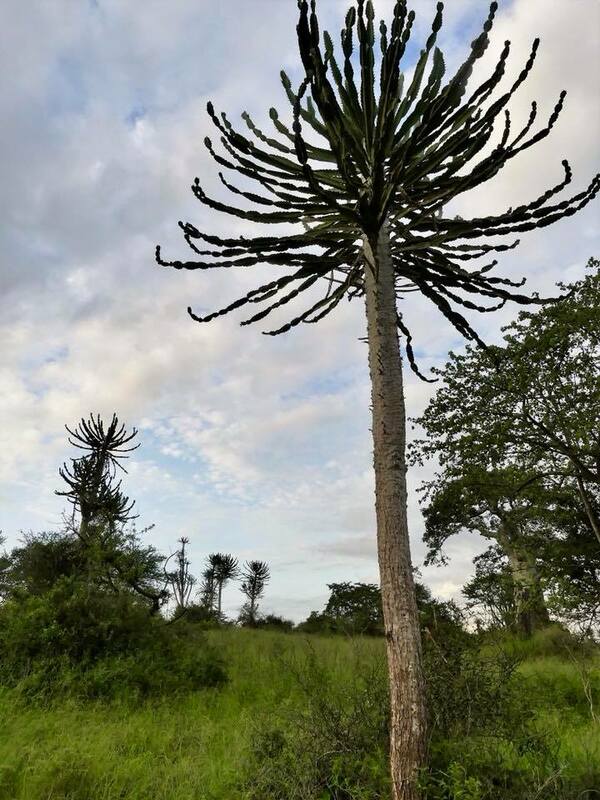 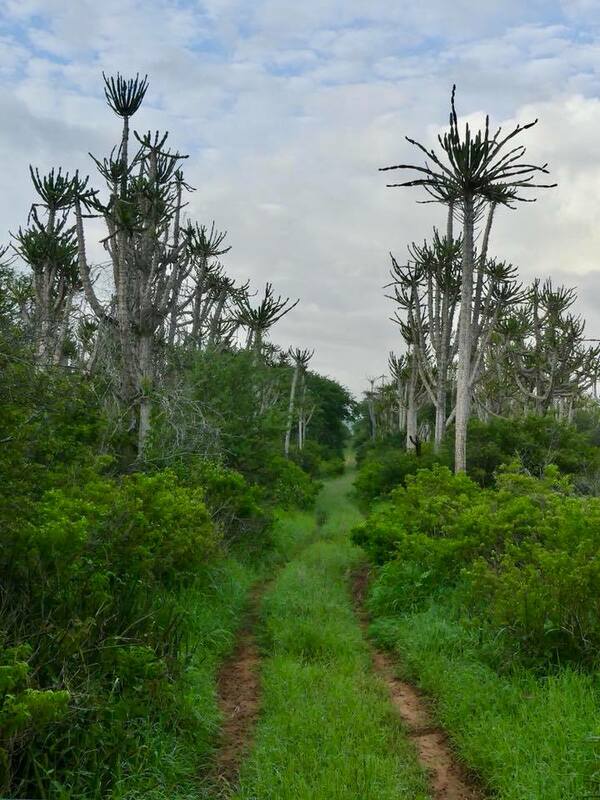 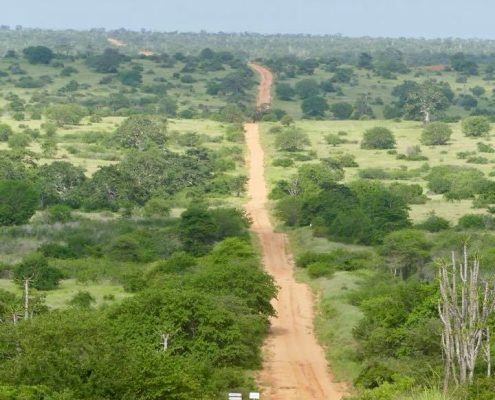 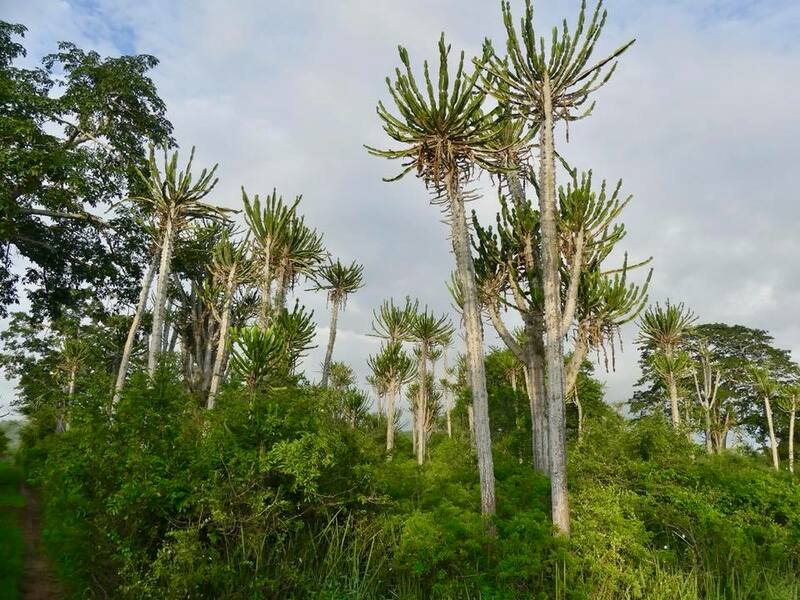 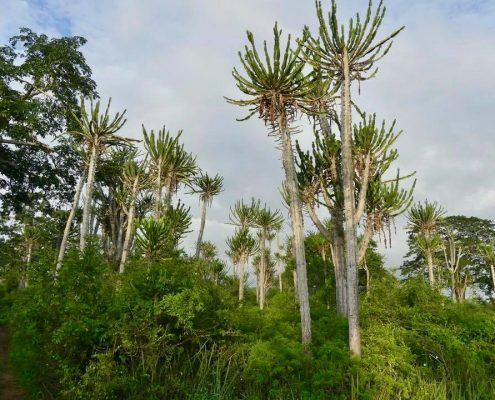 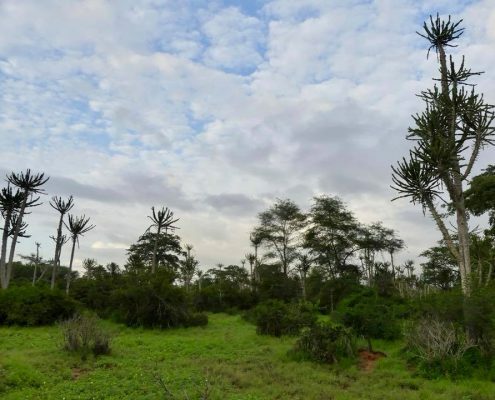 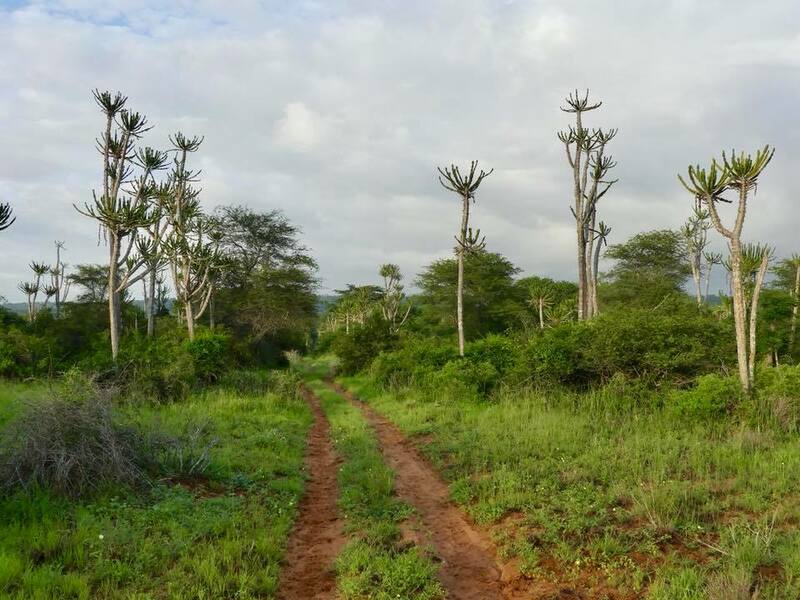 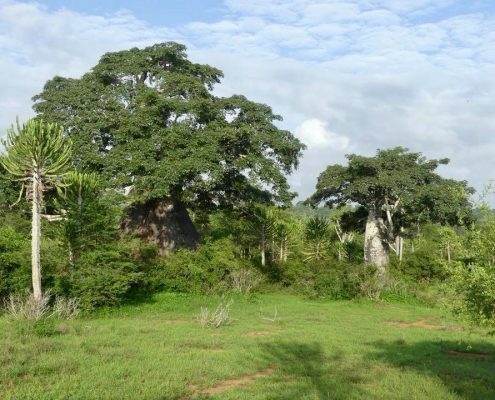 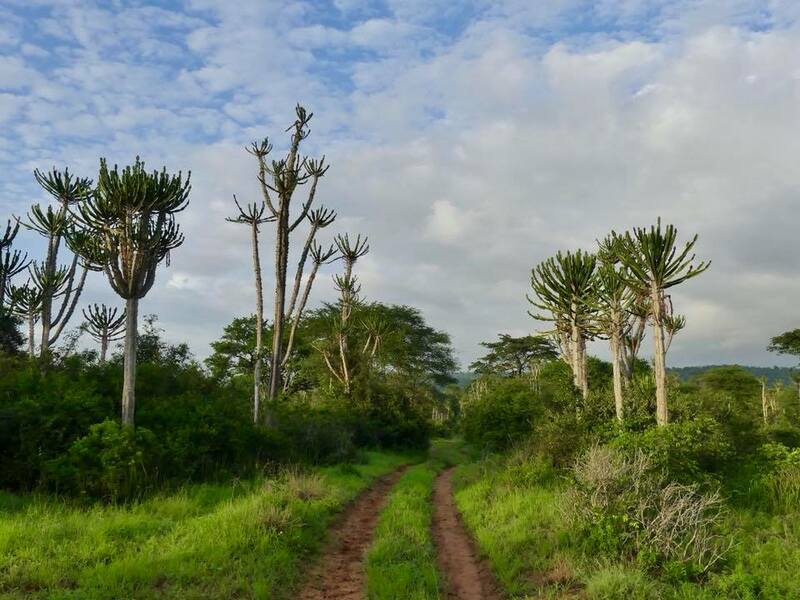 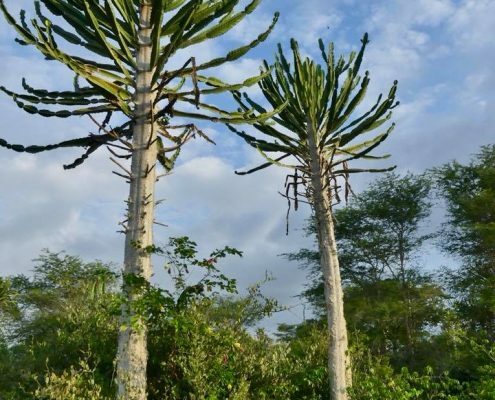 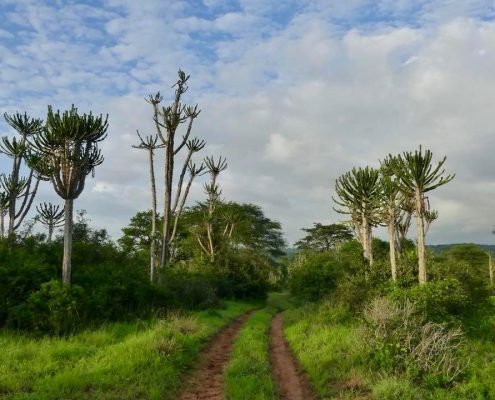 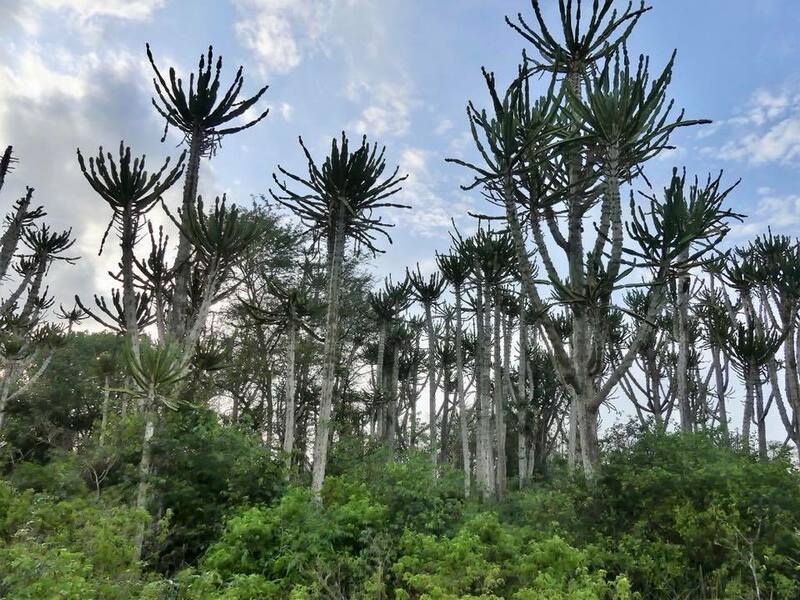 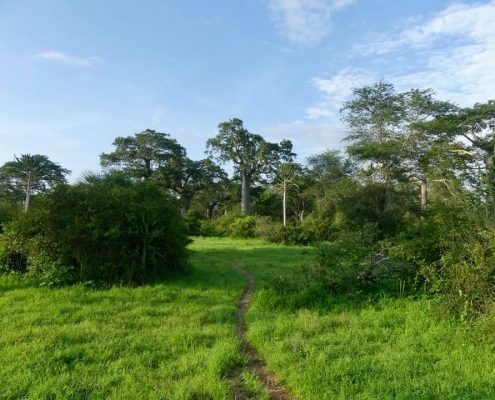 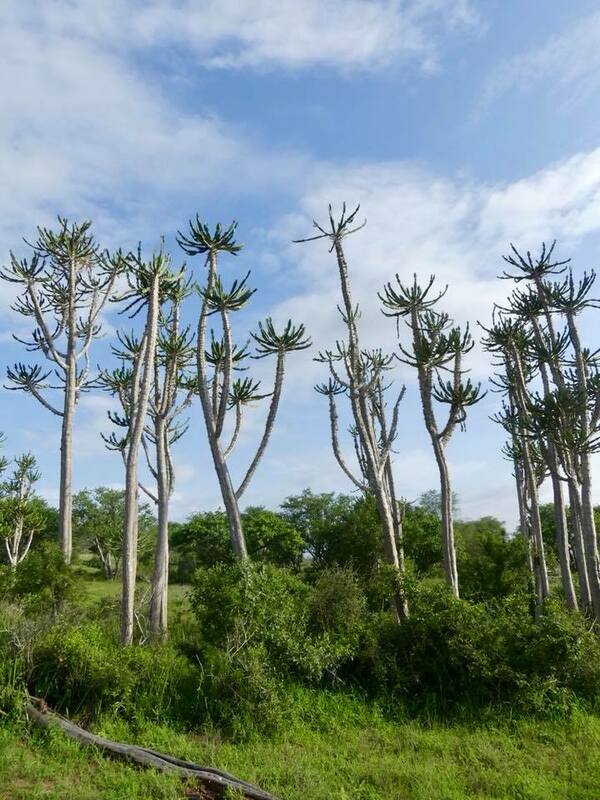 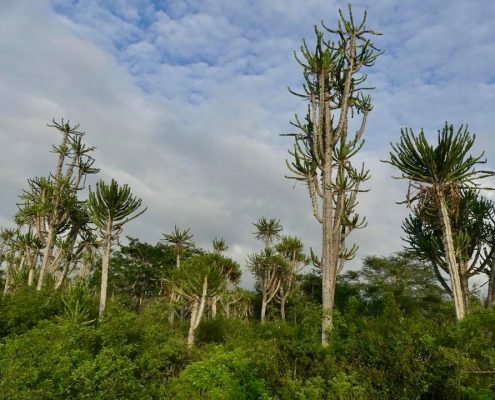 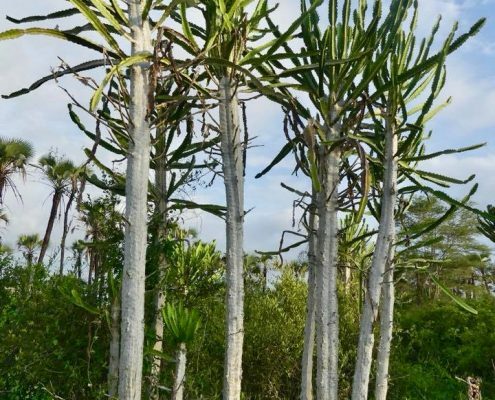 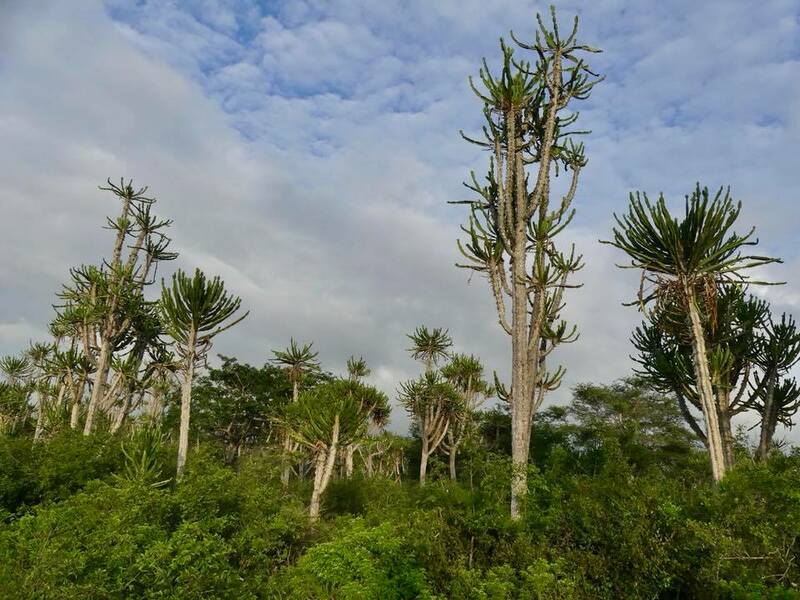 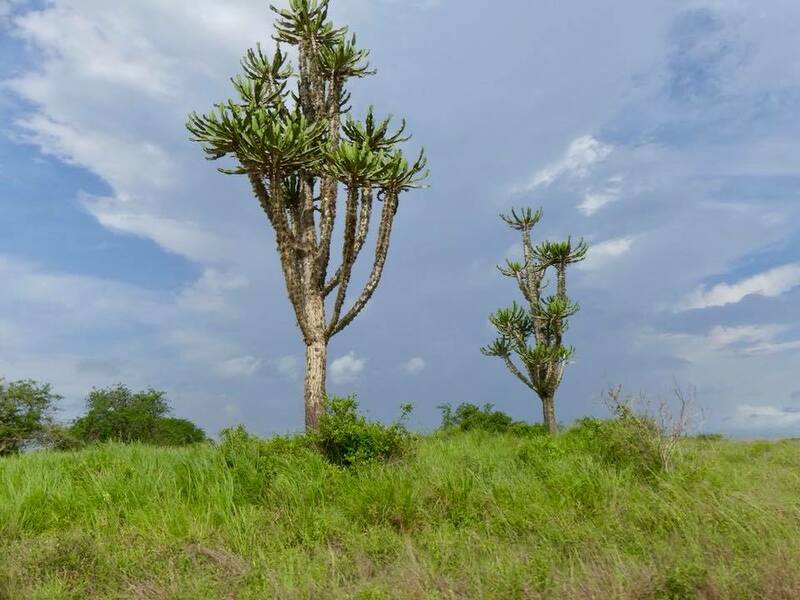 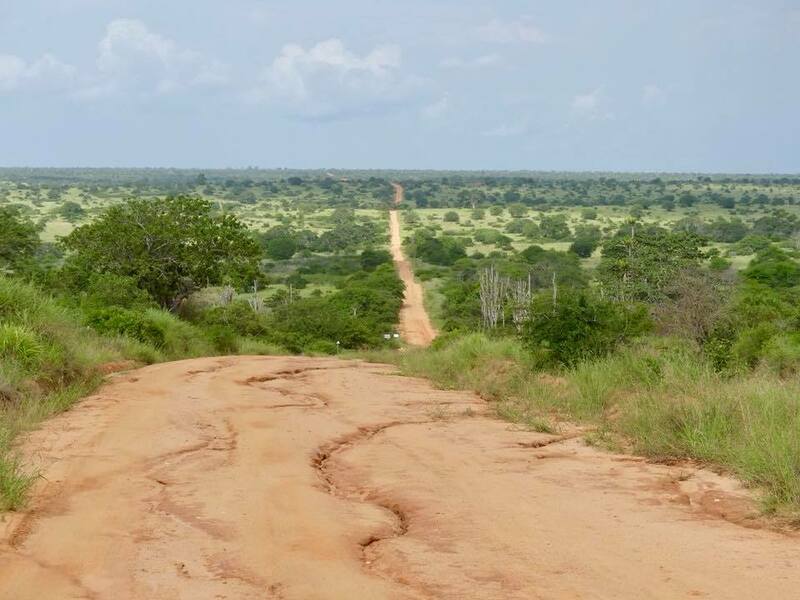 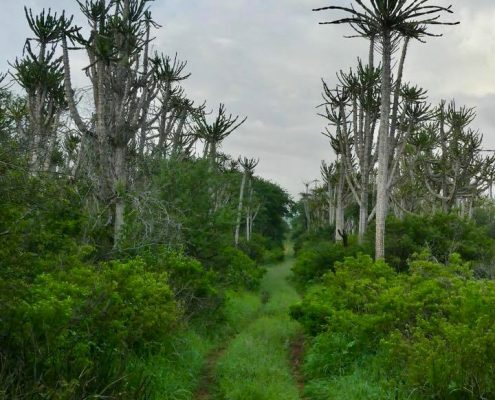 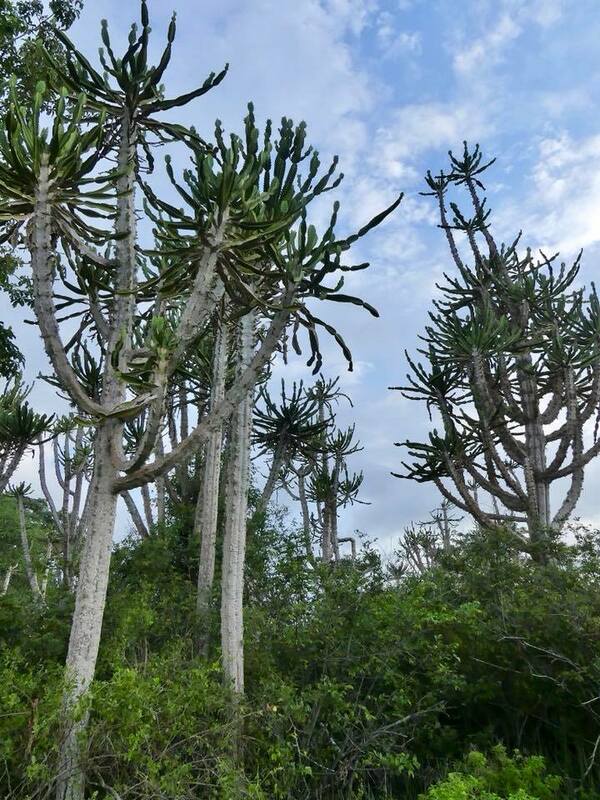 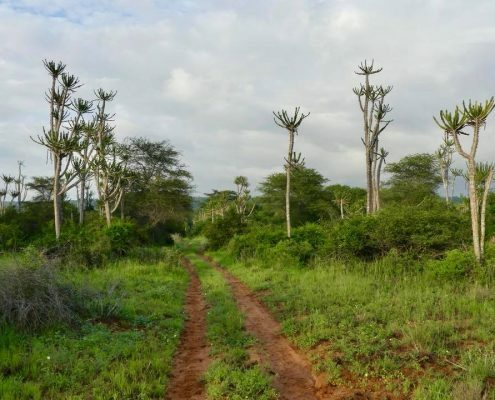 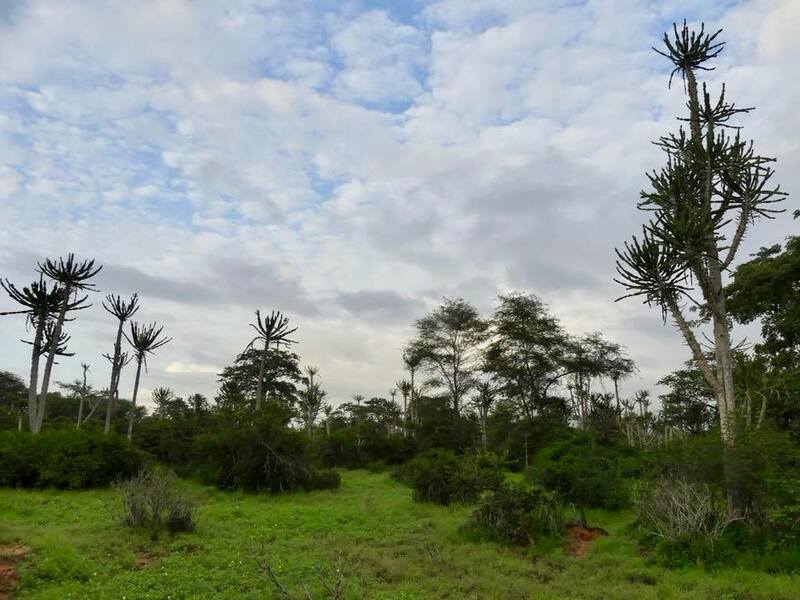 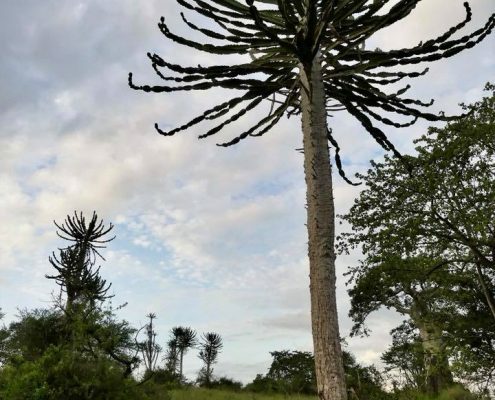 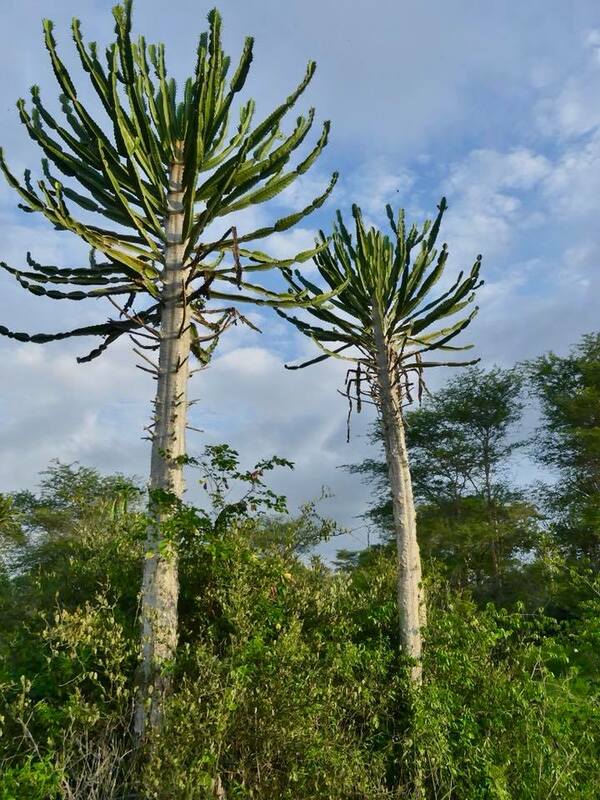 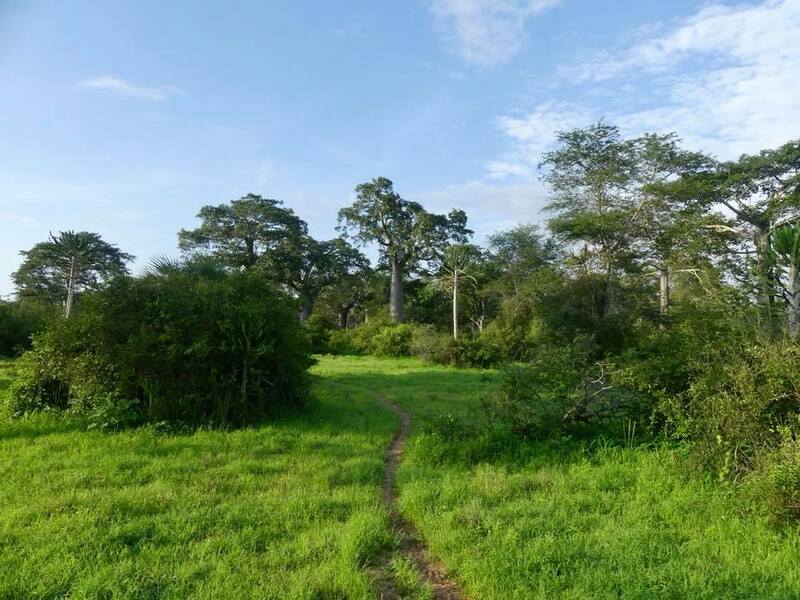 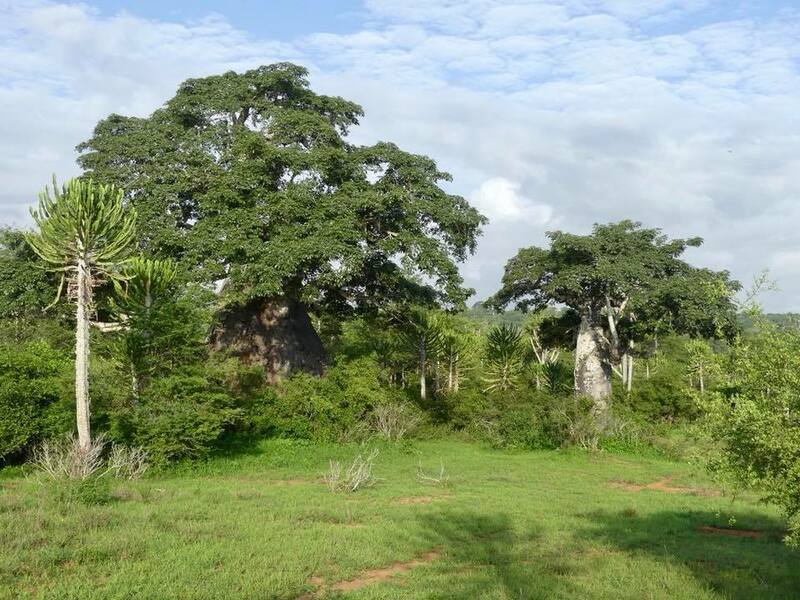 The flora of the Kissama National Park is perhaps the most visually stunning element of the park. 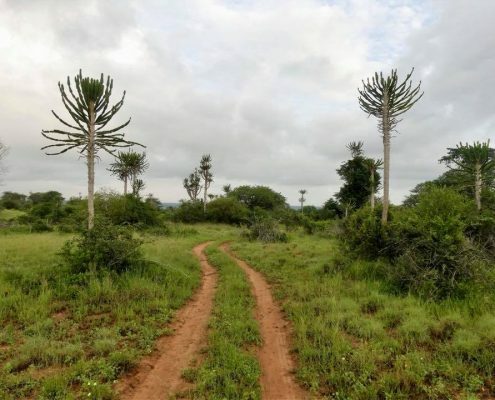 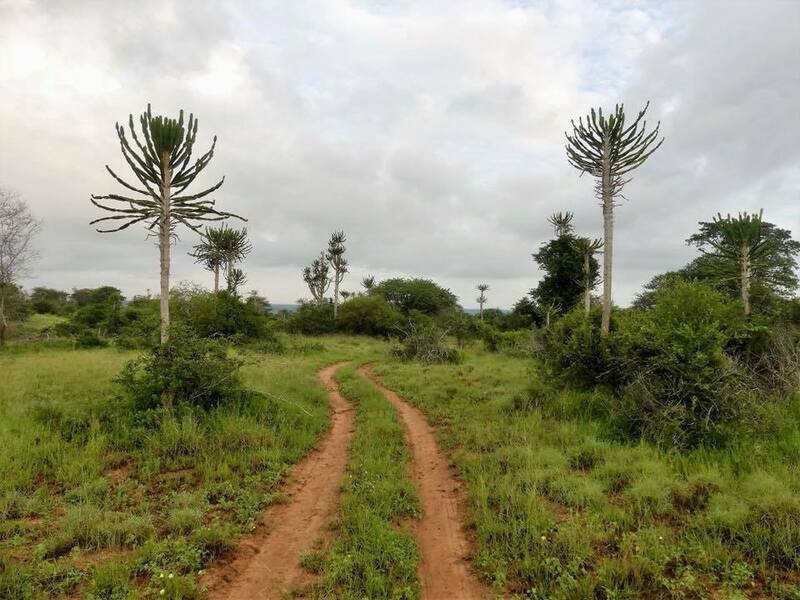 Baobabs and euphorbia trees (aka candelabra trees) dominate the landscape, making it look more Martian then planet Earth. 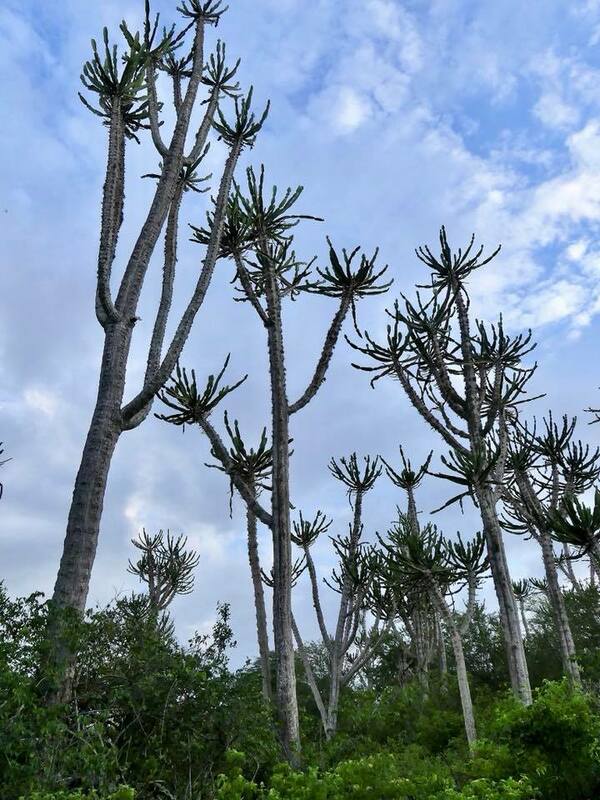 Euphorbia (euphorbia ingens in Latin) is a giant succulent that is often found as a small decorative plant in houses America and Europe, but grows to a massive tree size in the deserts of South Africa, Namibia, and Angola. 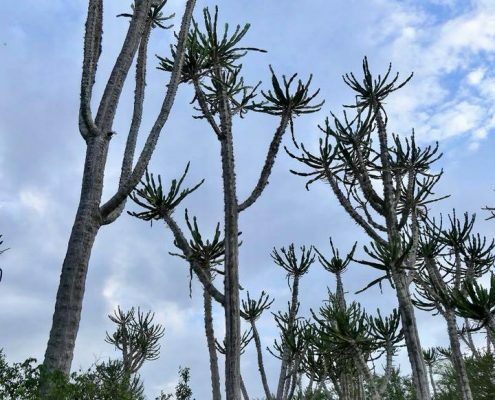 It’s not a cactus however, but similar to cacti, euphorbia accumulates water in its trunk and branches to survive the long period of droughts. 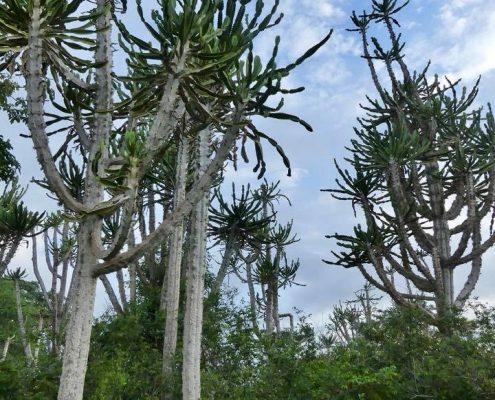 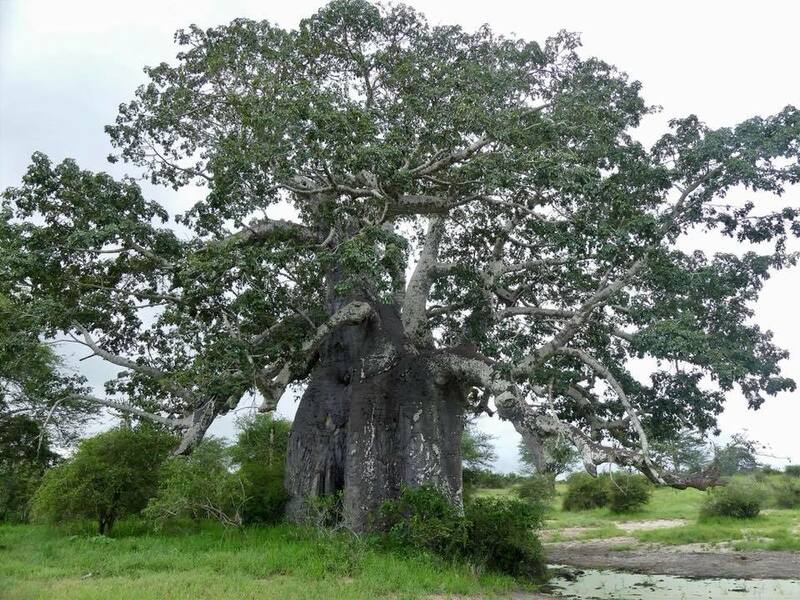 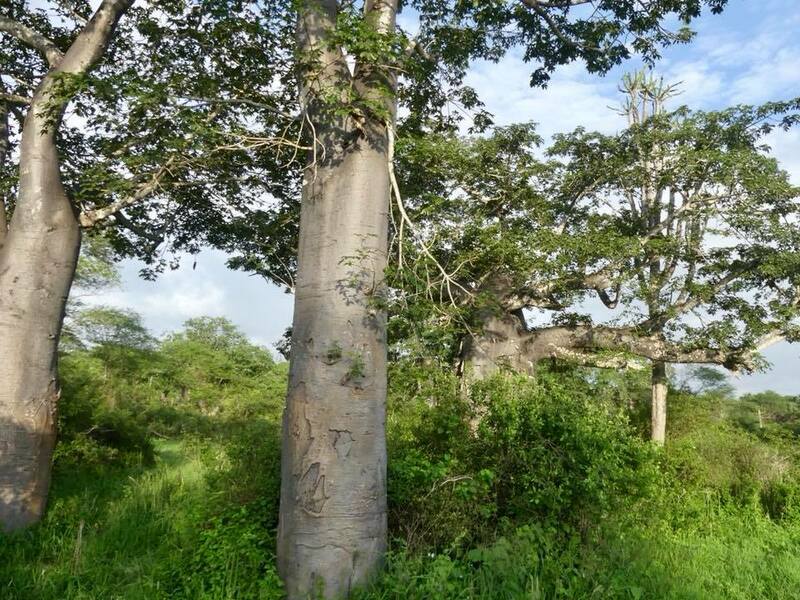 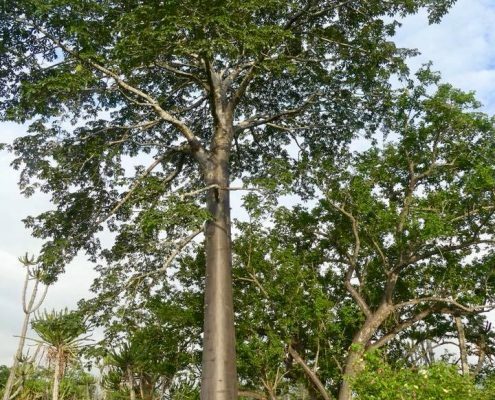 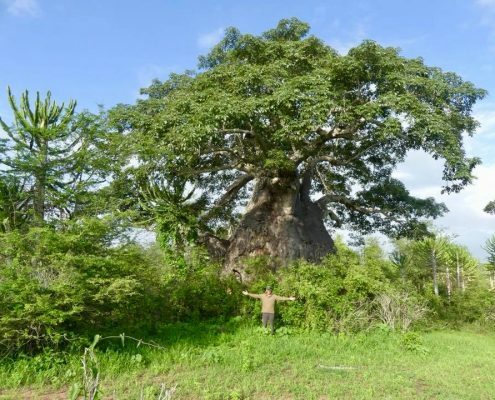 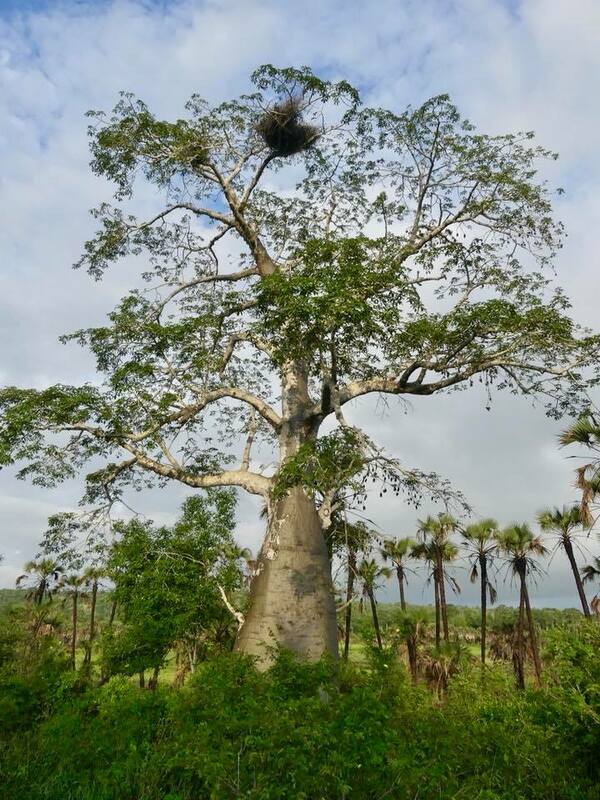 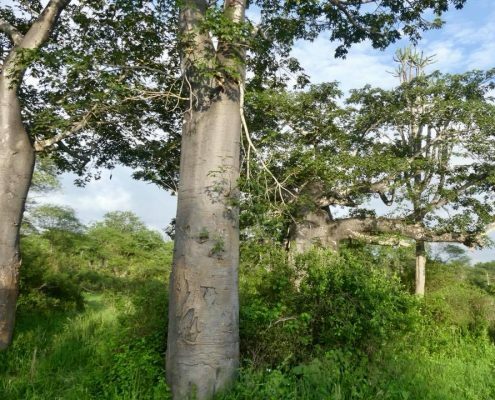 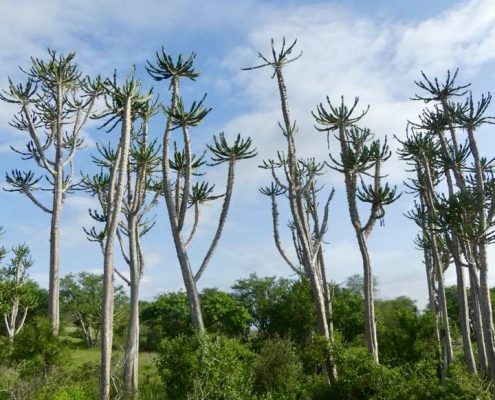 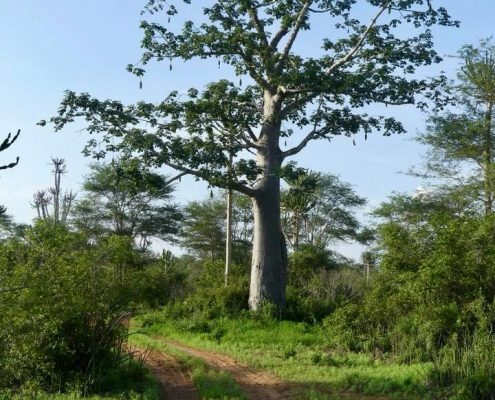 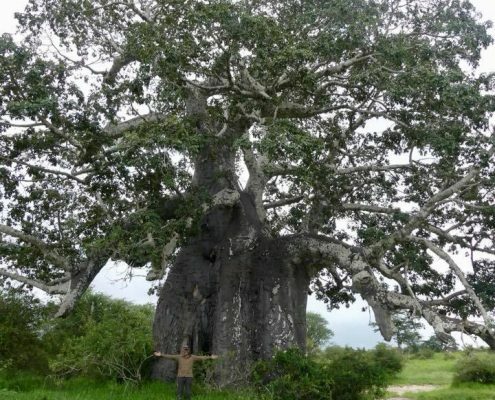 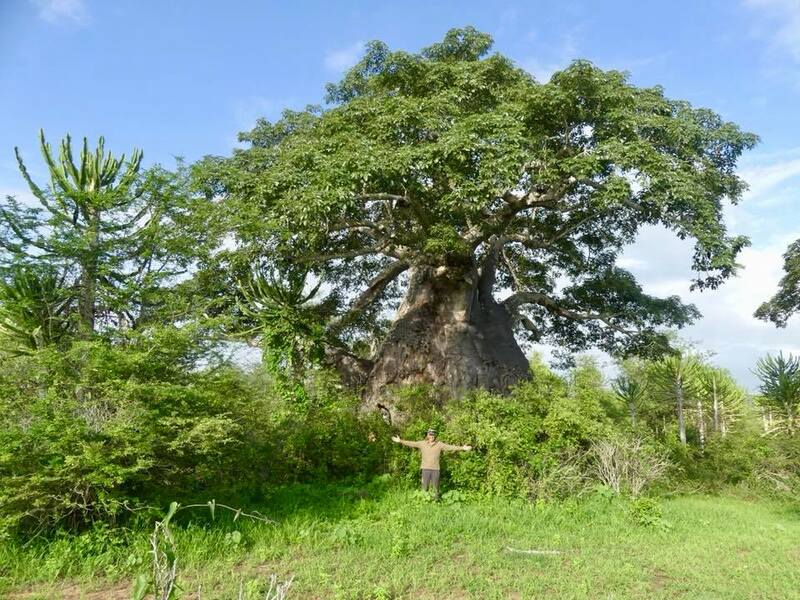 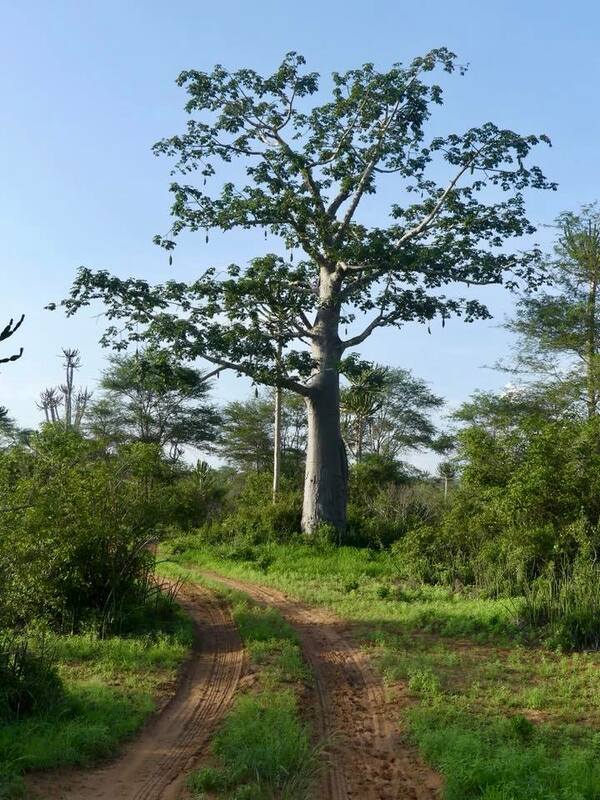 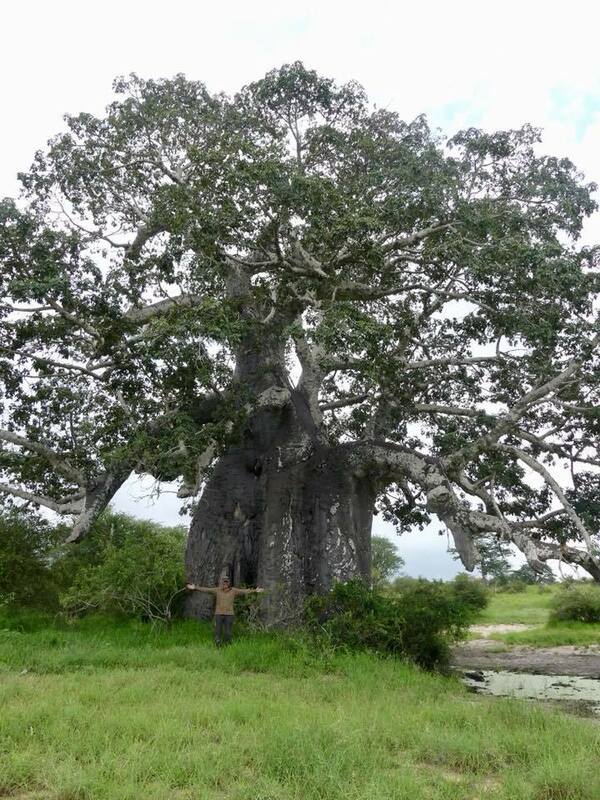 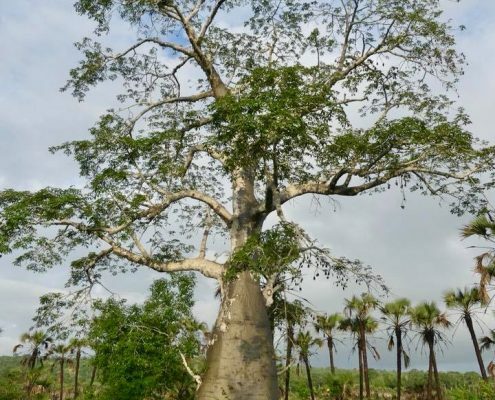 As do massive baobab trees that also grow profusely in Kissama side by side with euphorbia. 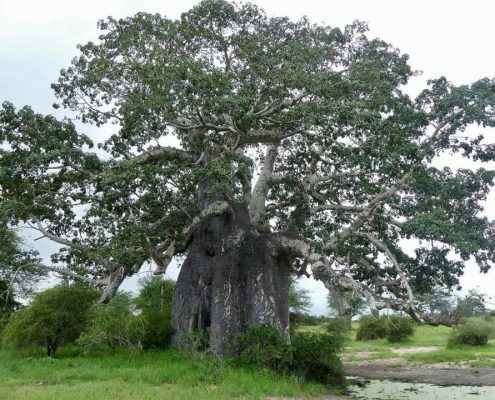 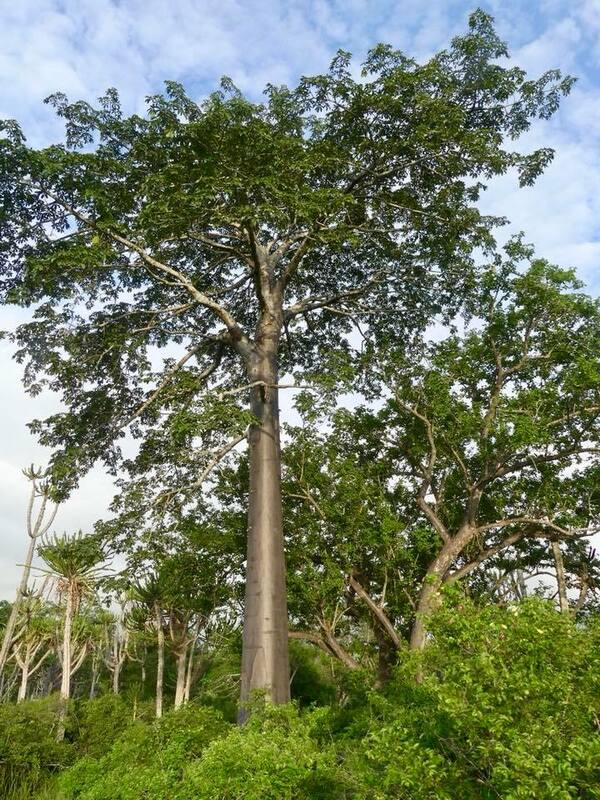 In fact, the concentration of baobabs here is one of the highest anywhere in earth. 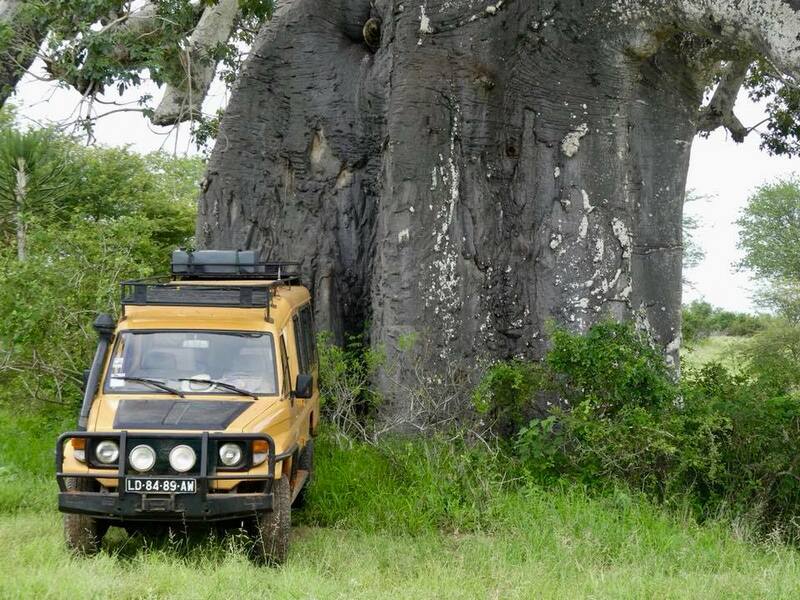 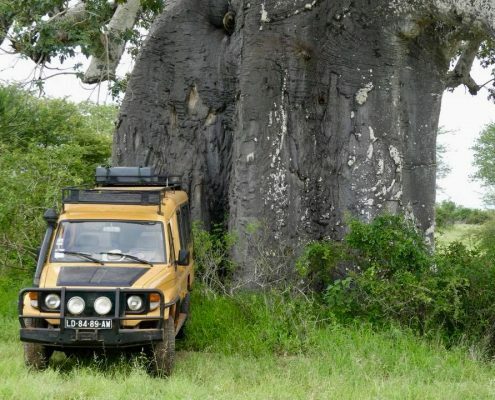 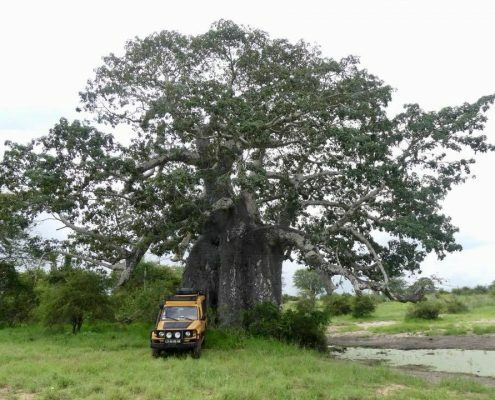 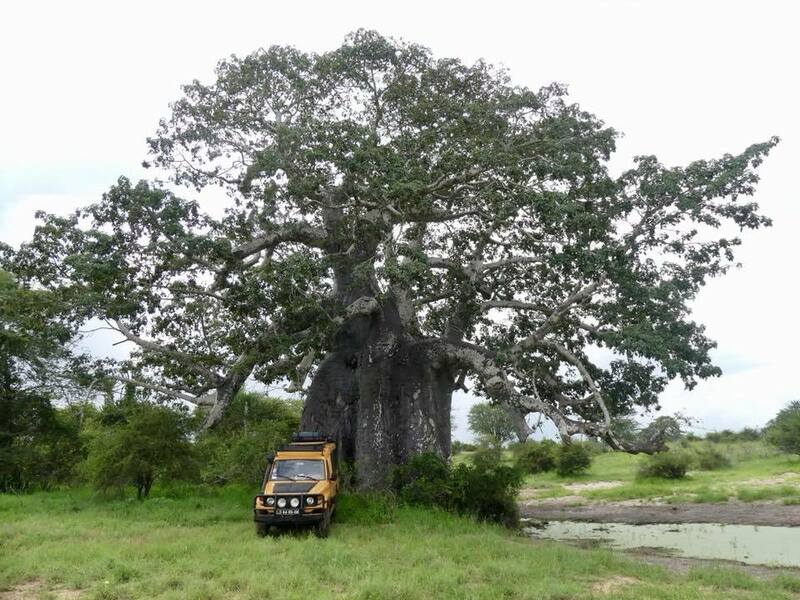 Two of the baobab trees were especially massive, easily dwarfing me and even the huge Landrover Defender safari vehicle.